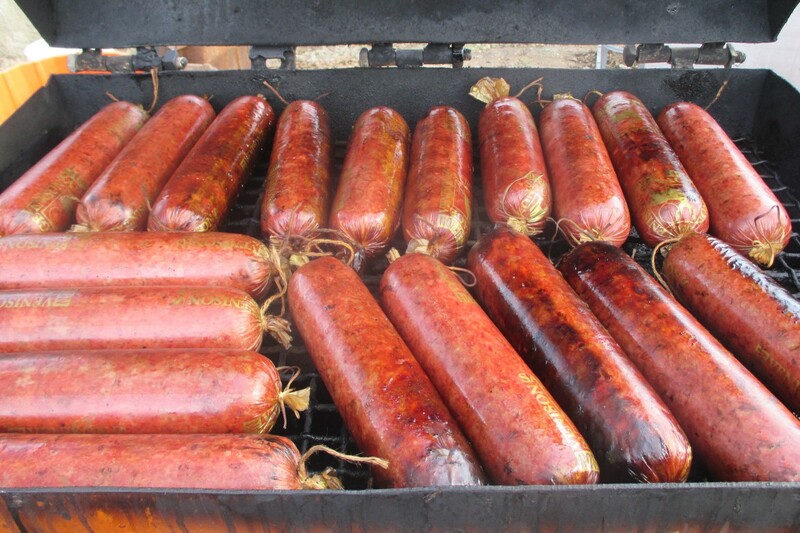 Pork and deer sausage being smoked! Yes, we are alive and well on the Callens Farm! 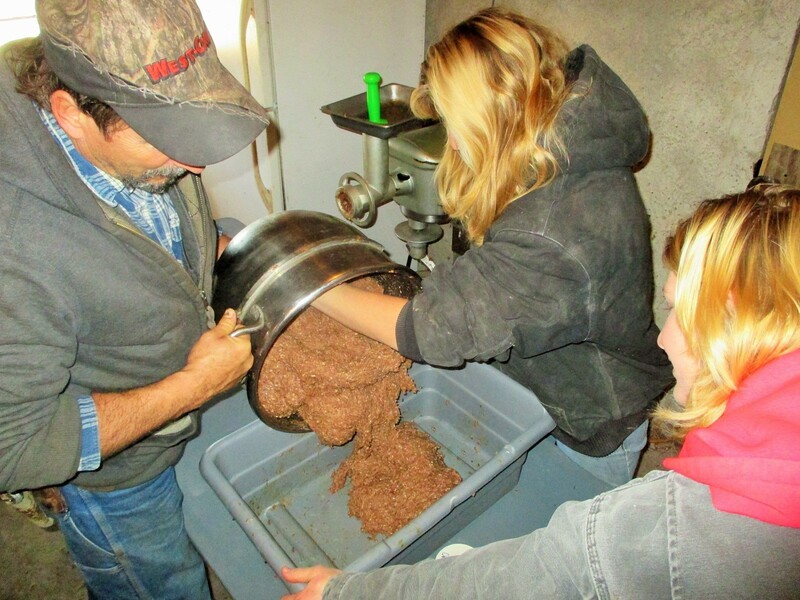 After a quick trip out to Wyoming this past weekend and having a few close calls, snow related experiences, we spent the entire day making sausage. Nothing like jumping right back into things after a little road trip! Sausage ready for the smoker. Isn’t it lovely? We made 175 pounds of sausage and tomorrow we will finish up with the rest of it. 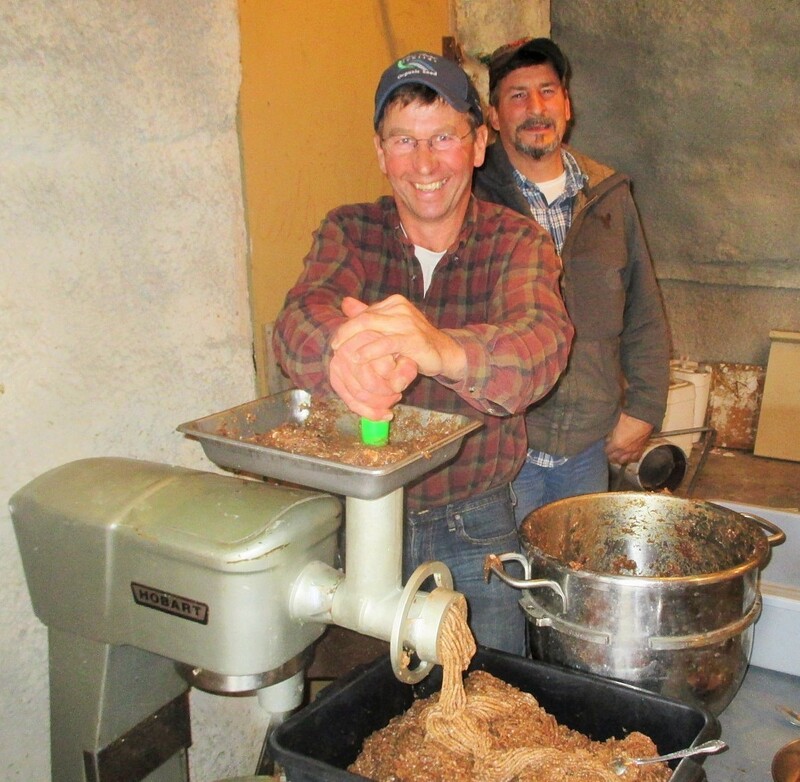 It was a blessing to have Alan Ferber out to the farm to teach us some of his sausage making expertise, having spent some 50 years in the meat processing business. What a guy who is full of great knowledge and tips. Mario, Silvana and Marisa with our new Sausage press. Works like a dream! Today we made Pepperoni sausage. I’ll let you know if it tastes anything like the town stuff. I have my doubts, but you never know! We also made some other kind of spicy sausage or Slim Jim mix. It tastes pretty good but could be a bit spicier in my opinion. We froze 25 pounds of fresh Brat Jalapeno sausage to make into patties later. Now THAT WAS spicy enough for me. Tomorrow we plan on making more pepperoni and some traditional Summer Sausage. First though, we are butchering two hogs for a neighbor. 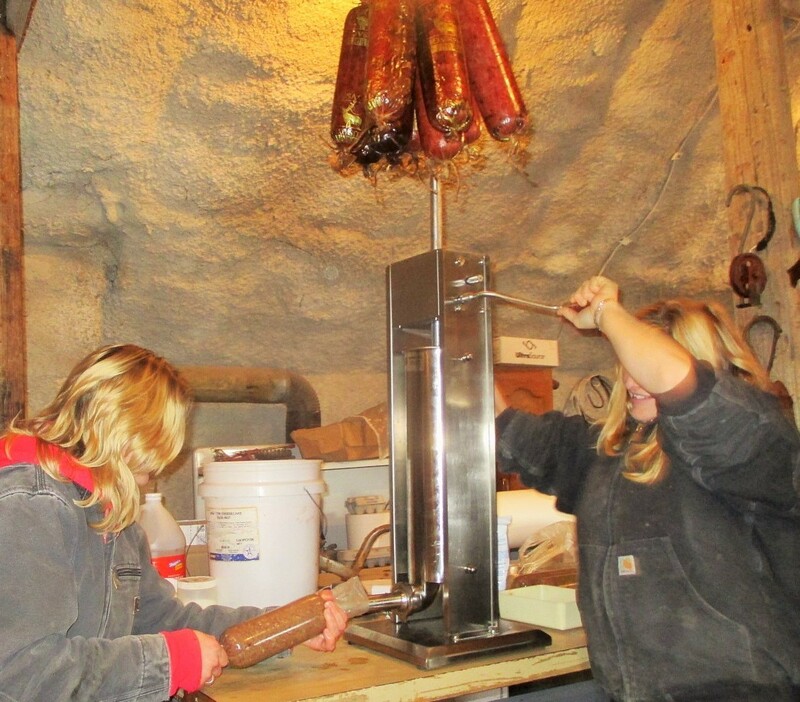 Fred, Marisa and Silvana getting the sausage ready for the stuffing process. Alan gives Silvana her first sausage stuffing lesson on our new stuffer. He used to own a butcher shop out in Wyoming! Silvana and Marisa stuffing sausages. 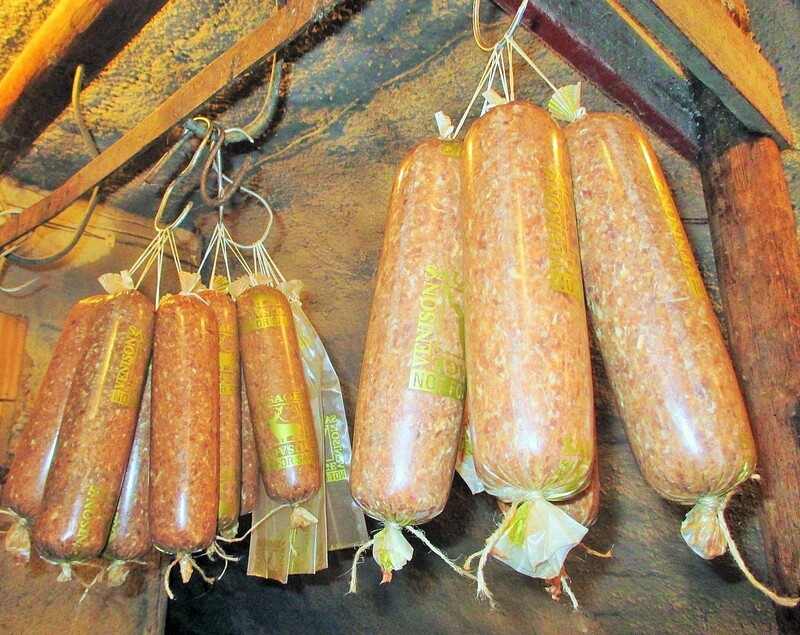 On top hanging are some of the smoked sausages. Rick Fonder, our Organic Valley Dairy farmer friend stopped over after a farm sale. 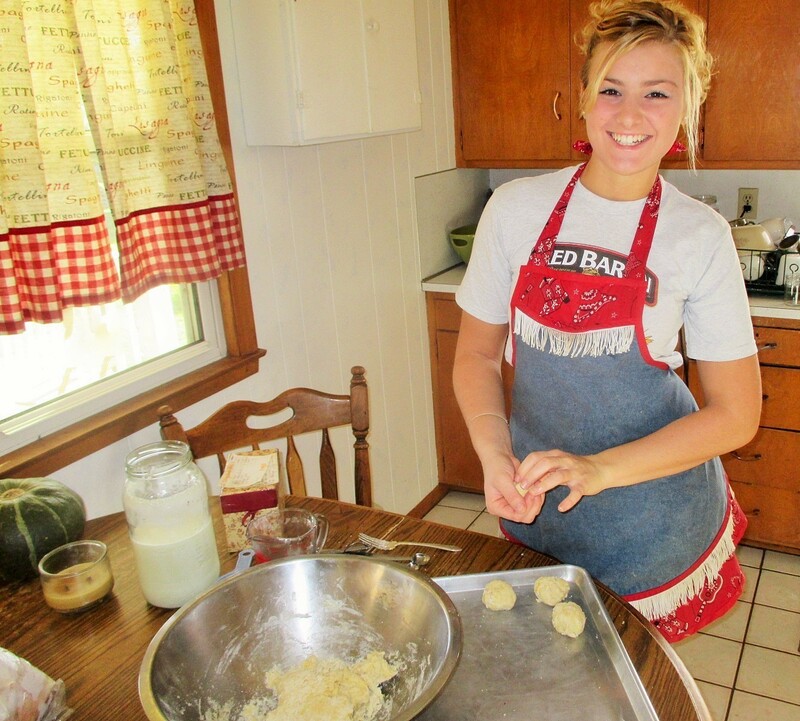 If you stop over at our place, you will most likely be put to work! Fred is in the back grinning. 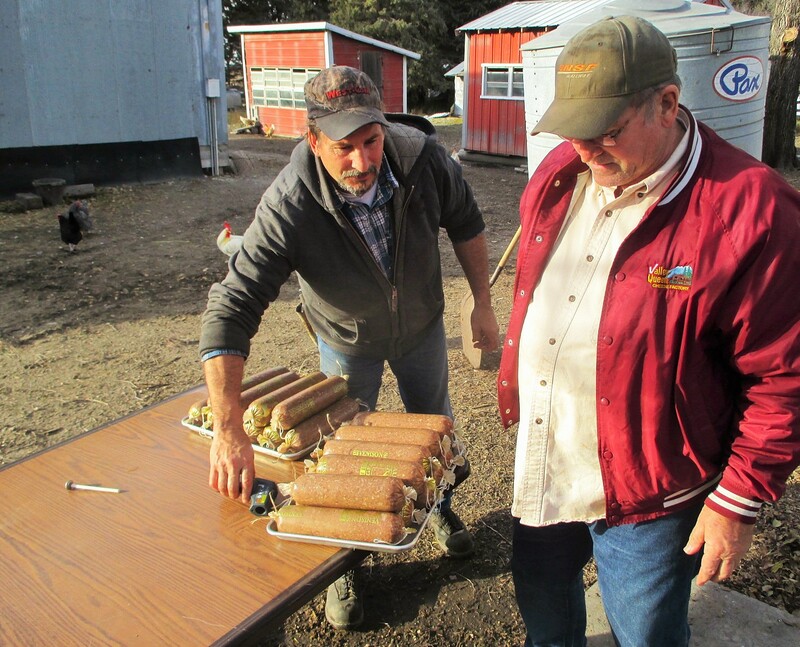 Fred and Alan carrying out a load of sausages to be cooked in the smoker. Farm yard setting adds to the beauty of it all! 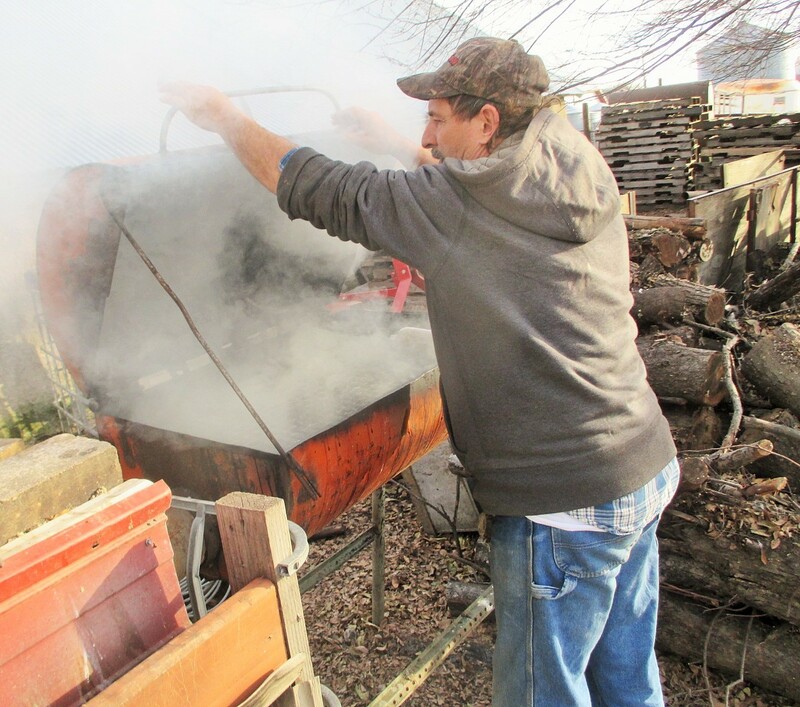 The smoke from Apple wood along with Hickory chips makes for a delicious aroma. Got smoke?? The sausages are around 2# each but if I had it to do over, I’d have ordered the 20 inch length. As it is though, I’ve 500 casings to use up which sounds like plenty but isn’t really that much considering how much they hold. Tomorrow I am guessing we will be doing another 200 #. I really enjoyed learning so much from Alan and he has so many tricks that are well worth remembering. It’s nice when the older generation cares enough to pass on lost arts to the younger generation, don’t you think? Maggie prepared a hearty and delicious meal for everyone. It was biscuits and sausage gravy with Apple Dapple cake. I heard it was excellent, having actually missed it in order to keep the meat grinder going. So happy my girls are wonderfully capable in the kitchen! That’s one thing mothers of young children have to look forward to, older children who grow up in to fabulous cooks and bakers. Among other things………… of course! 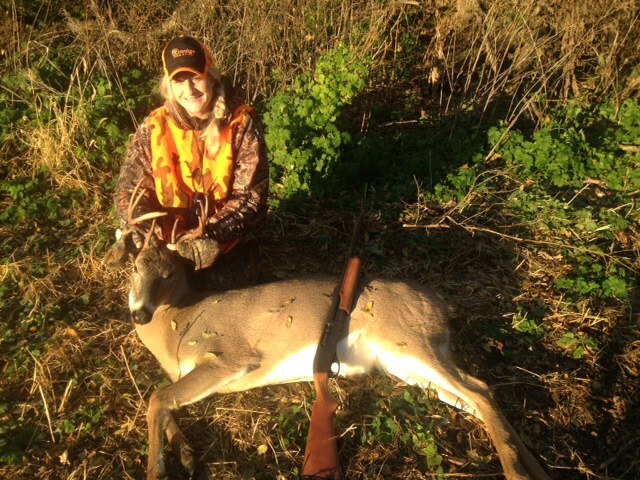 Frenchy got a nice buck; Maggie got 2 does and we were also given a couple of bucks from some generous neighbors, which are now part of some very tasty sausage recipes. On to other news……Thursday Marisa and Fred dug up the last of the garden goodies. 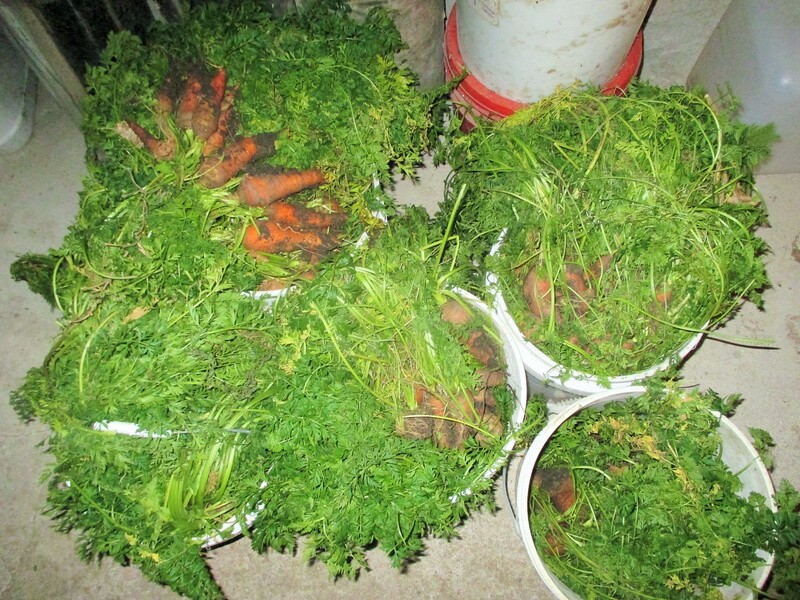 There were carrots and parsnips that needed to come in. If you have never grown parsnips, you really need to give them a try. 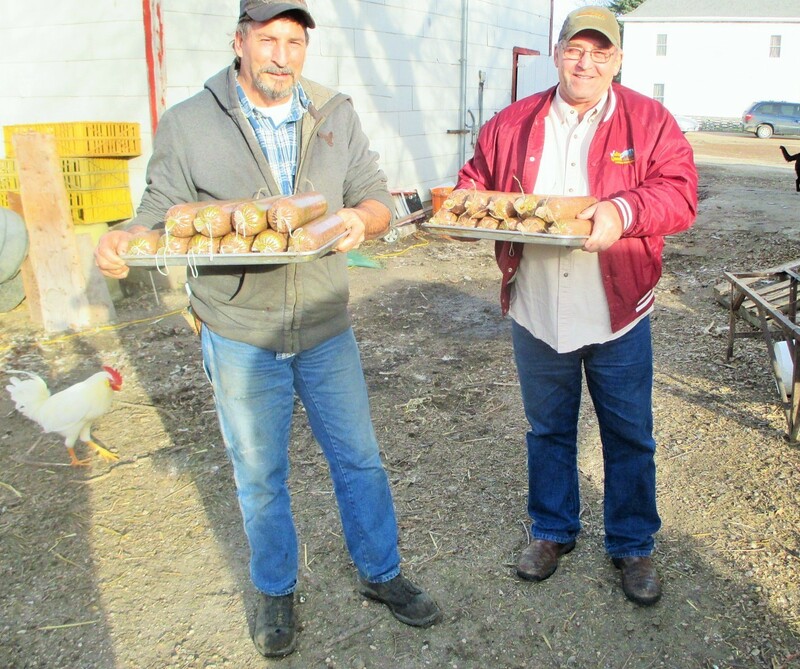 I have eaten them only once prepared by MaryAnn Duppong for us during their cattle drive out in North Dakota. 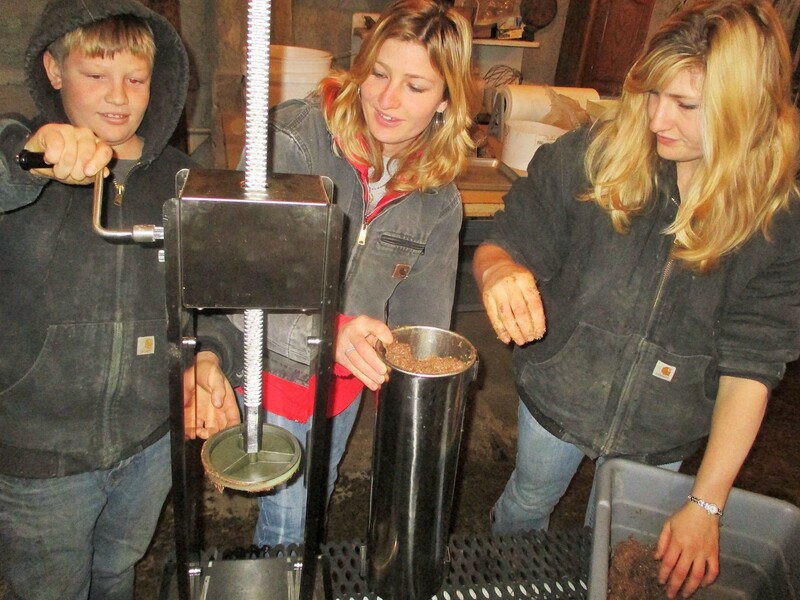 They made a big impression on us and I knew we had to start growing them on our farm. Carrots fresh from the garden in November. Popcorn graces our front porch. Yummy!! 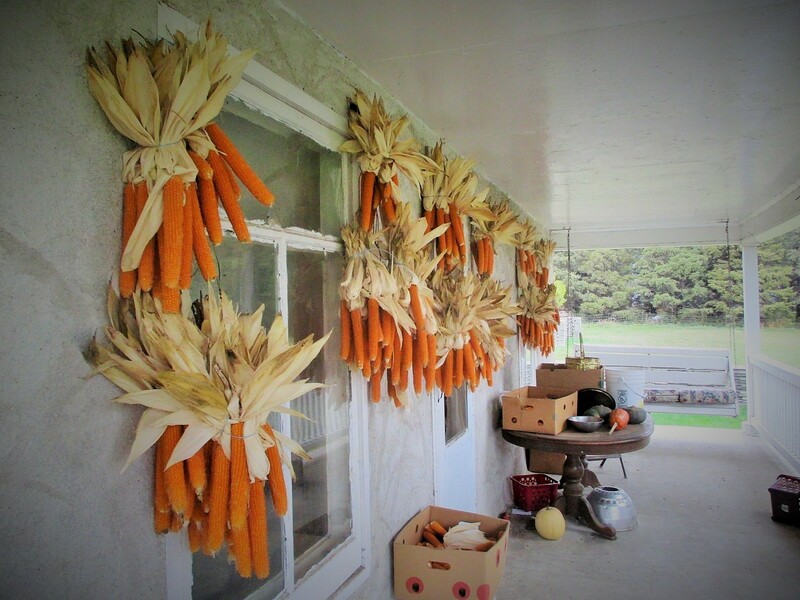 We had a great garden year and have plenty of food put up for the winter. Our popcorn crop was amazing! Talk about fresh! This stuff is delicious topped with home-made butter and sea salt. You can keep the cheese Doritos! You know, the ones with the ingredient label which is three inches long, full of things I cannot pronounce. It really does matter what we eat. Grow what you eat and eat what you grow. No matter where you call home, try to grow what you can. Life is good by golly. I bet you already know that! 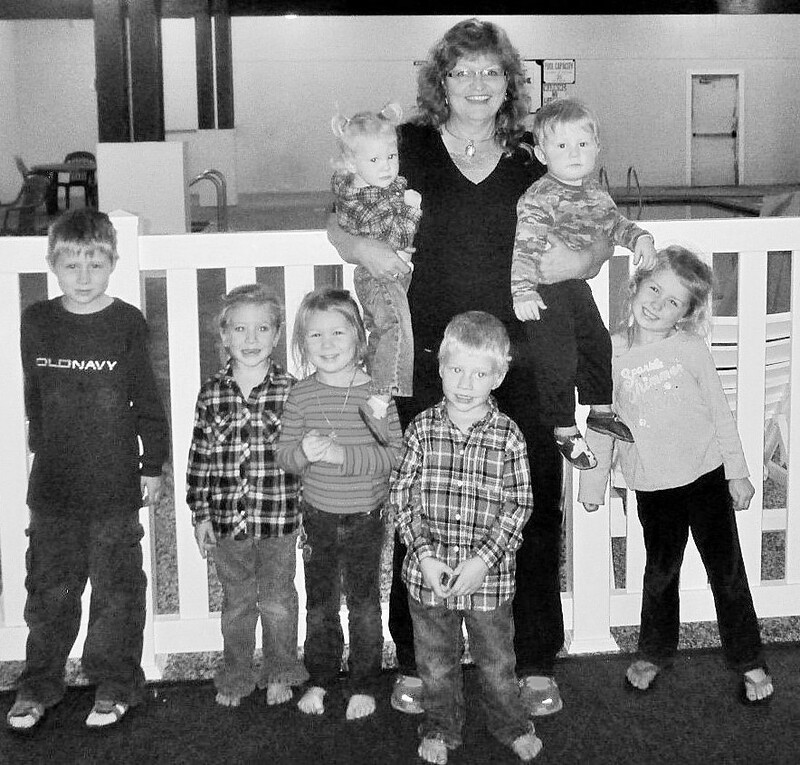 Me and all of my grand children. All because two people fell in love!!!!! 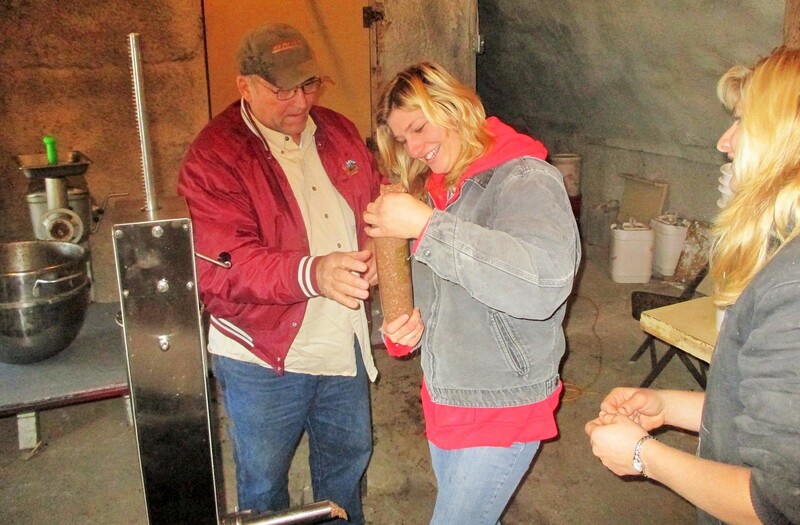 This entry was posted in FARM KITCHEN and tagged Callens Honey Farm Sausage Making. Bookmark the permalink. I really really like your “crop” of grandchildren, no calories 😉 Where I live in Alberta a farm family from Poland started making sausage to supplement their farm income. (Back in the olden days) Generation number 3 still owns and operates the business. Their sausage sells for a high price, which us consumers gladly pay. The person that brings this sausage to a party is considered a hero and there is never, ever, any left overs. This might be a good business family to consider. In their small town store they also sell product from local producers. Eggs, honey etc. Again, city slickers like me will gladly pay the price because I know it will always taste good with out 3 inches of “ingredients” listed on the package that I can neither pronounce and have to google to know what they are. Bringing back memories here… When I was single my family would always make sausage on thanksgiving weekend. The girls would turn the casings inside out (don’t know why, everyone I know did it) while the guys butchered. Then It was onto grinding mixing and filling. It was a long greasy day! The sausage was totally worth it though, made with potatoes and gravy, Oh my! We had popcorn this year too. If you have never had butter and nutritional yeast on popcorn, you have to try it! Its almost cheesy but has its own flavor and sooo healthy. Lots of good times doing hard work! Too bad I didn’t appreciate it then as I do now. Thanks for the note Kathy! Love your comments. I’ll have to try the popcorn.